Belgium has a typically European variety of cultures, cuisines, and languages. It has played a way bigger role in European history than its size. You’ll find great Renaissance architectural heritage, interesting modern museums and usually far fewer tourist crowds than elsewhere in Europe. It is a country that is both cosmopolitan and provincial at the same time. Belgium has a well-connected international airport and every part of this small country can be reached within two hours from the capital. Belgium has a lot to offer for international weddings, too: it has moody medieval old towns, breathtaking nature and idyllic villages. In the Belgian Ardennes you feel like you’re in the middle of genuine France. You can easily find locations that are perfect for a cozy, intimate, special and personal wedding. 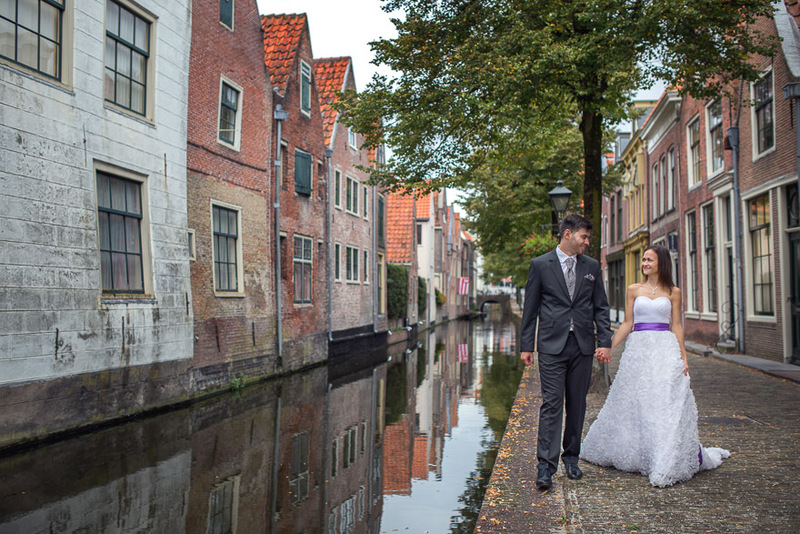 The canals of Antwerp, the cobbled streets of Bruges or the medieval castles in the port city of Ghent provide all great backgrounds for wedding photography. 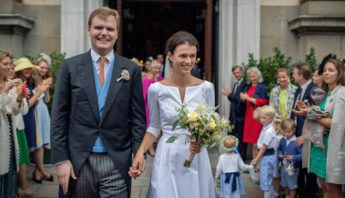 In Belgium the peak wedding season is from May to September. The low season is from October to February, when a lot of venues offer special discounted prices. The cost of an average wedding in Belgium is around 17,000 euros, which is much lower than a US wedding’s expenditure. To get married in Belgium, either the bride or groom must be Belgian citizen or has had his or her place of residence in Belgium for at least three months. According to the Belgian government air tickets, receipts and rental agreements can be used as proof of residence. The intention to marry (notice of engagement) must be made at the local municipality or town hall of the residence’ district where one member of the couple lives. You must inform the registrar of your intention to marry at least two weeks before your wedding. You need the following documents: birth certificate, proof of identity, proof of nationality, proof of civil status and certificate of residence. After the documents have been delivered, the pertinent registrar in Belgium draws up the official copy of the marriage notice form. The legally binding ceremony must take place at a registry office, which is typically in the local town hall. Many of the town halls are admirable buildings, often hundreds of years old. Space may be limited in town halls, but it is usually possible to bring around twenty guests. The couple may bring up to four witnesses, who should all be over 18 and bring ID, too. If the bride, the groom or their witnesses are not fluent in the local language, they should provide a translator. The civil ceremony, typically costs 250 to 300 euros, however a Saturday afternoon ceremony in a popular area might cost you double of this. Only civil marriage ceremonies are legally recognized in Belgium. After the civil ceremony, couples often have a religious ceremony, too, as part of their celebration but it is not required by law. You have to pay 350 euros on average for the diocese to conduct a church ceremony in Belgium. The official ceremonies are usually followed by a reception where all the guests can enjoy a snack and a drink. On average, that costs 15 euros per person in Belgium. Venue rental prices vary, spending 500-600 euros for the location is normal, however by choosing a fancy venue you can easily expect a 3,000-6,000 euro price tag in Brussels and Belgium. A buffet style wedding dinner costs an average of 35 euros per person in Belgium, generally food is between 25 and 50 euros per guest and you can count another 25 euros per person for drinks, too. No wedding party is perfect without a wedding cake. Here the cost is around 400-600 euros for 100 guests. 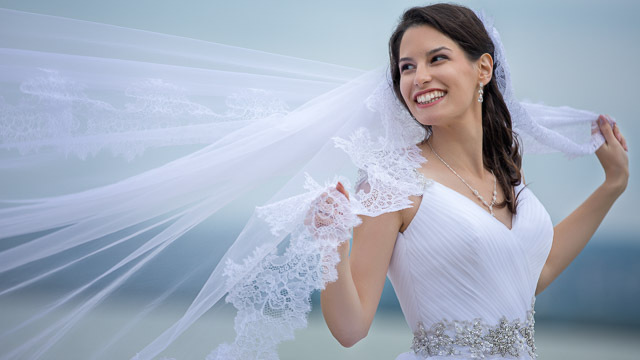 Wedding dresses for the bride are in the range of 1,000 to 1,500 euros on average without accessories in Belgium, a wedding suit is around 700 euros. You might add 150 euros to this amount for bridesmaid dresses. Bridal make-up is around 170 euros including a trial makeup, while hairdressing including a trial costs 210 euros on average. Bridal bouquets cost around 95 euros in Belgium, flower decoration will set you back with 200 to 400 euros. 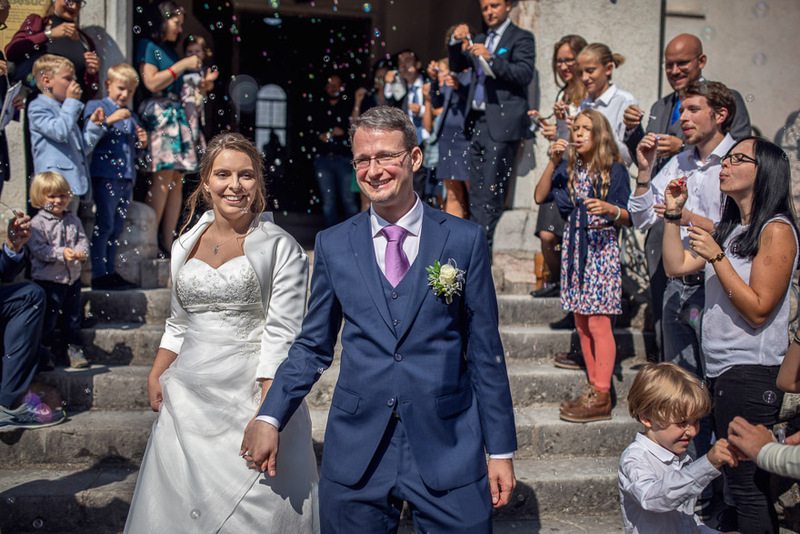 No wedding is complete without preserving your memories in the form of professional photos, hiring a great wedding photographer for a day is around 1,400 euros in Belgium. Weigert Images offers wedding photography in Brussels and Belgium, please feel free to contact us. 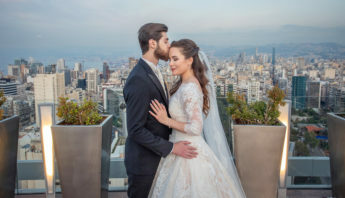 Wedding cinematography prices are in the same range as wedding photography in Belgium, hiring a team of two or three cinematographers is more expensive, though. Weigert Images’ wedding filmmaking services are available in Belgium, please don’t hesitate to contact us. Wedding rings cost between 400 and 1,000 euros in Belgium, although you can find rings even for 200 euros after a little research, such as handmade silver rings. The cost of wedding rings depends on the materials used, the weight of the rings, the type of the stones and the finish. You have more options for music at your wedding: hiring a wedding DJ or a band/orchestra are equally good solutions, according to your taste and budget. Spending 1,000 to 1,300 euros on 4 hours of wedding music is an average number in Belgium. Wedding invitations cost around 260 euros for 100 people, you can decrease your expenses here by DIY. Wedding favors, small gifts for your guests can increase this amount by 250 euros. Wedding cars cost around 350 euros for 4 hours in Belgium, choosing an oldtimer makes your wedding more elegant. 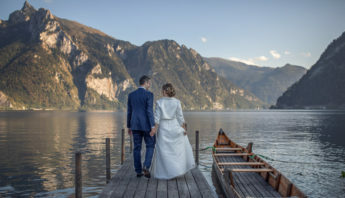 After the wedding you definitely should enjoy a well-deserved honeymoon, however going for a romantic trip can easily set you back with 2,500 euros. 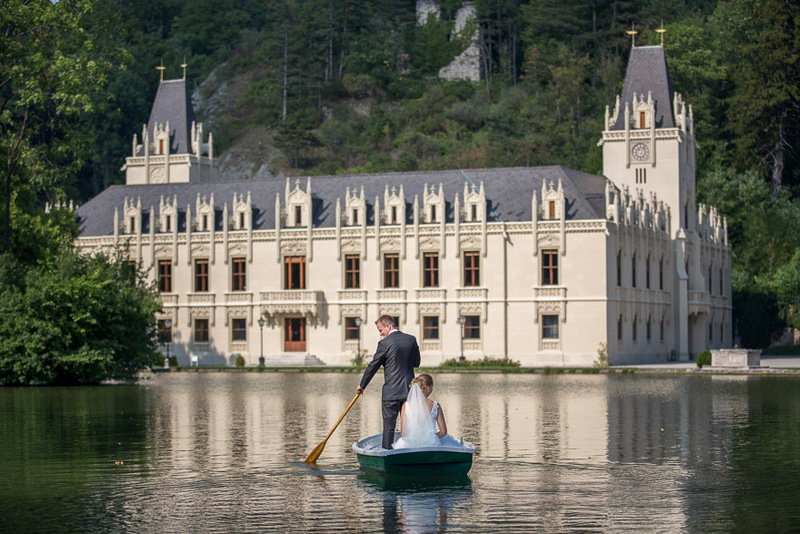 Would you like more info on our wedding photography and wedding film services in Belgium? Please, contact us on this website.